MAY 18, 2017 – Jean-Michel Basquiat’s painting of a skull has sold for $110.5 million at Sotheby’s in New York, setting an auction record for American artists and providing a windfall for the daughter of two collectors who purchased it for $19,000 in 1984. The work by the late Brooklyn born painter and graffiti artist is the first since 1980 to draw over $100 million at auction. There were predictions that a phenomenal price for one of this artist’s works was coming. 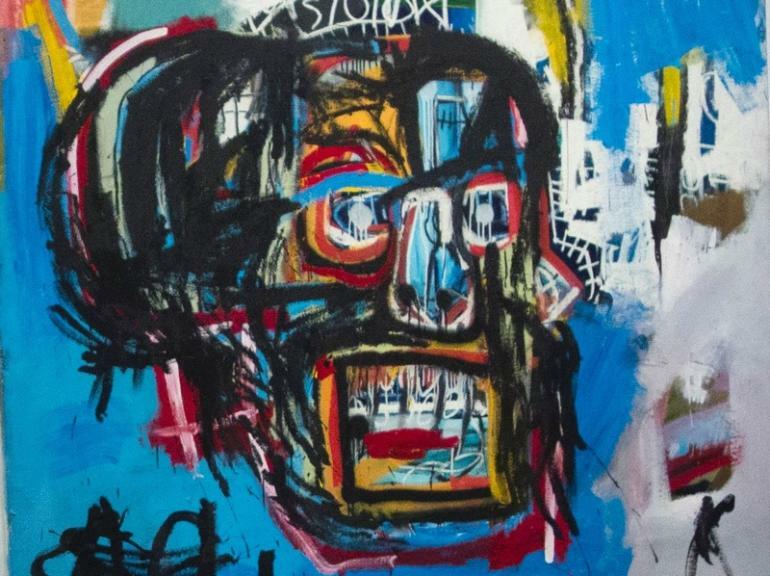 In 2012, Forbes set the art world talking with what was then a provocative prediction that one of Basquiat’s works would eventually fetch $100 million. (See that Art Junkie post here.) 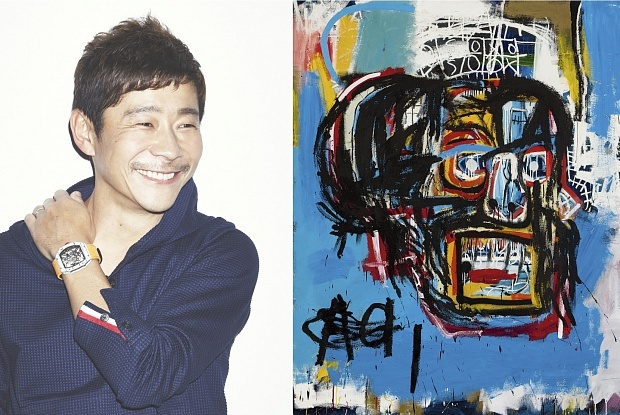 Yusaku Maezawa, a Japanese billionaire and founder of online fashion mall Zozotown, won the painting in the bidding war at Sotheby’s. The artist is a fascinating, influential visionary, now being compared to Picasso. He began in the punk graffiti scene as SAMO, collaborated with Andy Warhol and entered the celebrity stratosphere. He died at 27 of a heroin overdose in 1988 after 1,000 paintings & 2,000 drawings. The Associated Press reports that Basquiat’s canvas was last purchased at auction three decades ago by the late New York collectors Jerry and Emily Spiegel. It then disappeared from the public view until the couple died in 2009 and their art trove passed on to their two feuding daughters. See more at Sotheby’s site for the auction, here. Phenomenal finding. 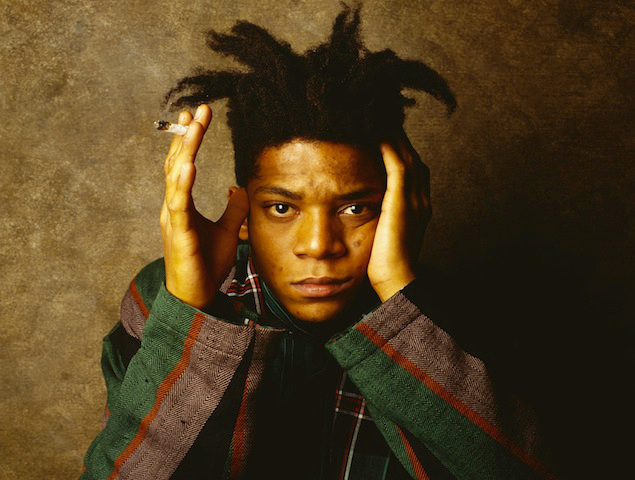 Always have loved Basquiat. I agree, he was phenomenal. Thanks for your comment. Well, I won’t put this work in the same basket as Picasso but what a great honour. Well, I love the piece, but for 110,000, 000.00? This is why I prefer street art. Unless it comes to the AGO, who gets to see it except for the wealthy collector and a few friends. It’s totally ironic that he started out as a graffiti artist. True words. He hit the celebrity ranks in a way even Banksy hasn’t. I found this fascinating since wa-a-a-y back, I heard there was speculation his art would cross $100 million one day. You’re right that few people get to see his work. I read that the Japanese buyer plans to take it on tour for the public, though, so that’s something. Crazy! The speculation helps to propel. Well, yes, it would be something to see that 1 piece at the AGO where Georgia Okeefe is displaying now.